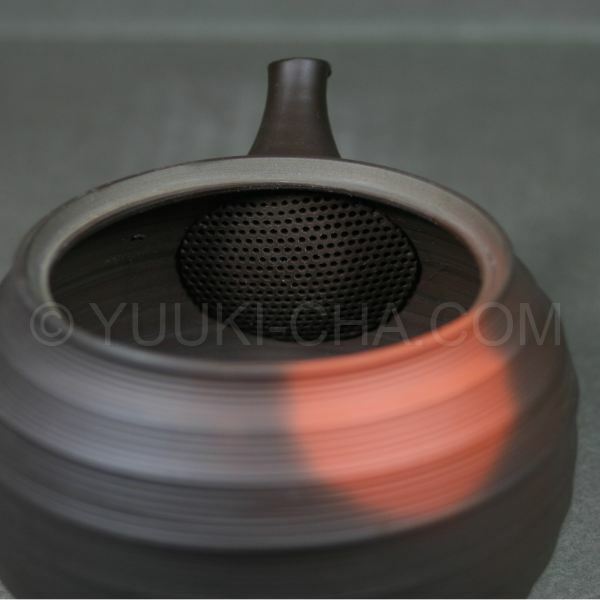 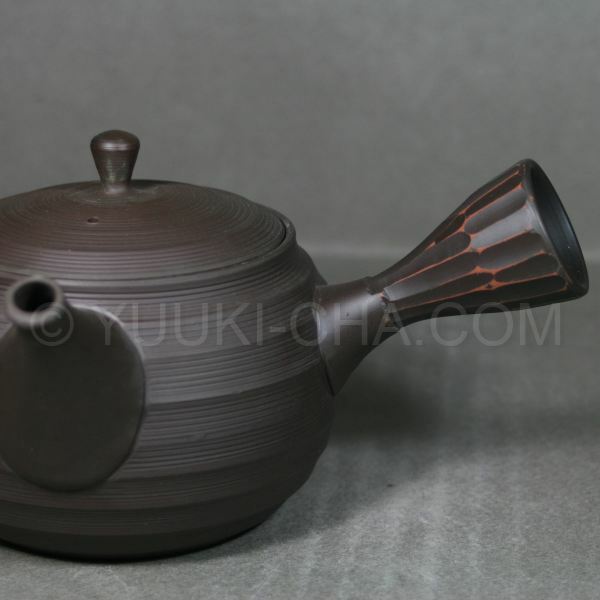 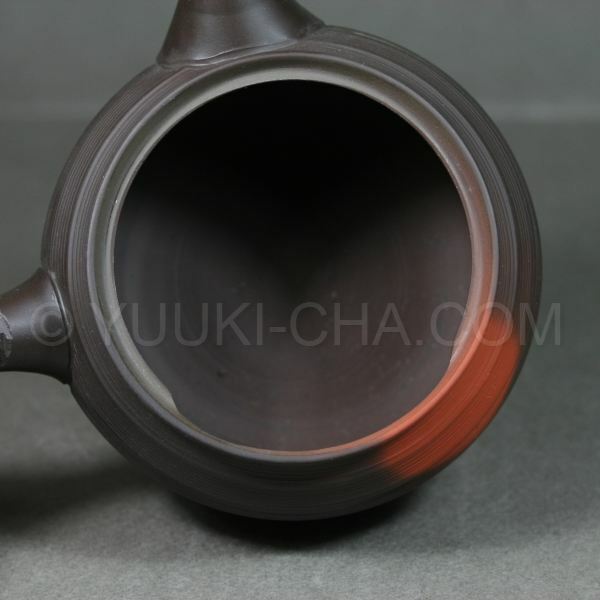 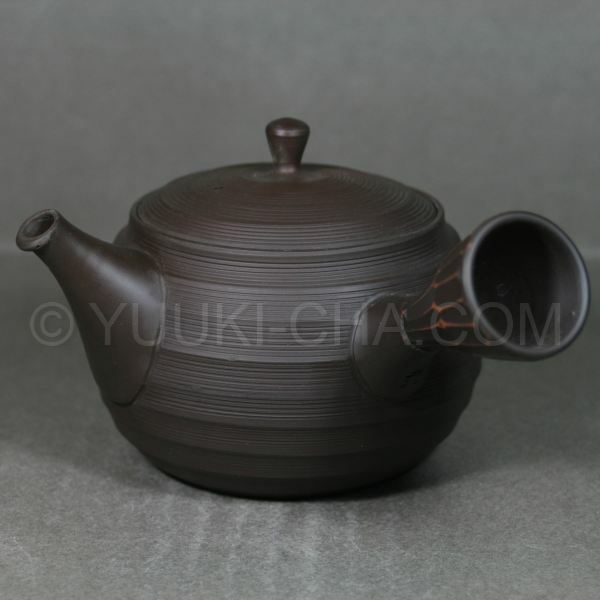 A really nice functional Tokoname teapot by the one and only Gyokko! 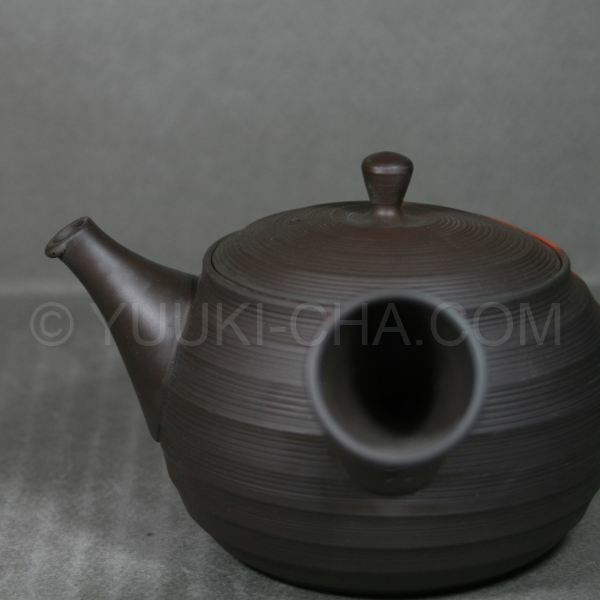 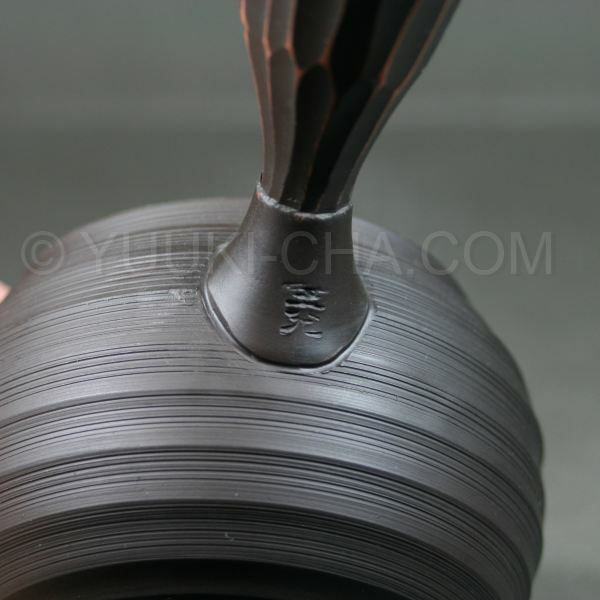 This teapot has many little features such as a non-drip spout (look closely), a carved handle for easy grip, a wide lid for easy placement of leaves in to the kyusu, a cut out back part of the flange which the lid rests on for easy removal of leaves, a sasame filter, and an interesting yohen patch and a stepped line pattern on the surface of the teapot. 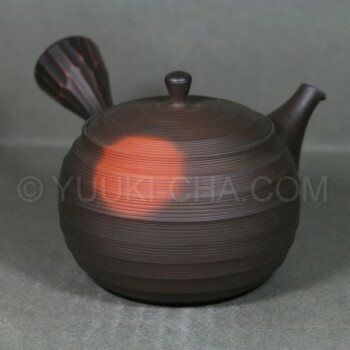 An excellent functional gyokko teapot!